Thane makes more sense than you’ve possibly ever considered. It has more than you think, is better than most folk visualize, and will soon extend far beyond anyone’s wildest imagination. In fact, come to think of it, there’s really nothing that Thane doesn’t have. 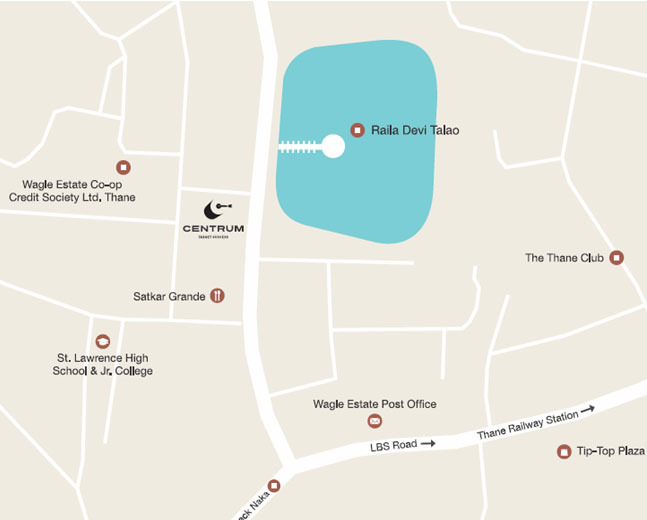 Buying an Office Space in Thane that too Wagle Estate is a Steal deal mainly due to its proximity to nature and fast pace of development coupled with Government’s proposed plans to enhance connectivity. 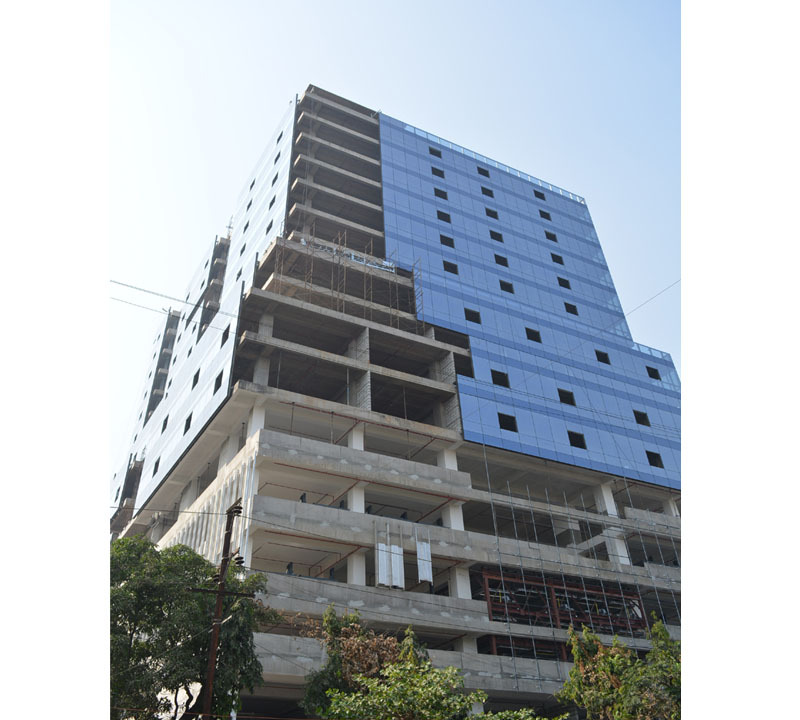 Thane enjoys superb connectivity to Navi Mumbai as well as to the Eastern and Western Suburbs of Mumbai via Ghodbunder Road, JVLR, SCLR, Eastern Freeway, NH 8, Mumbai-Nashik Highway and the Thane-Belapur Road. Besides, the Central Harbour Rail Line, Thane-Panvel Rail Line and Central Railways connect Thane to Mumbai’s railway network. Future connectivity plans include the proposed metro rail that would run along the Ghodbunder Road with more than 10 halts within Thane itself. With the metro, the travel time between Thane and Wadala is expected to reduce by half. Other infrastructural developments on the cards include construction of the Thane-Diva Road, the flyover at Bhiwandi bypass, metro-3 project to Kalyan and Mira – Bhayander areas and parallel roads from Thane to Kalyan along the metro line. Yes, love is important but money to plays a big role in making your married life happy and successful. If you have recently got married then you may not agree with us saying that money can be a big cause of stress in your relationship. You may know everything about your partner but what about the finances? Do you have that communication gap around your finances? It is important to understand that you need to communicate with your partner about finances or this lack of communication can lead to bitterness in your relationship. 1. You need to be very clear about financial matters. Everything needs to be transparent when it comes to finances, from your assets to salary to debts. A lot of reports suggest that many partners don’t even know how much their partner earns. Make sure that you know everything about each other, including your finances. 3. When it comes to making a financial decision, make sure you discuss it with your partner. Even if it is a small expense, ensure that your partner knows about it. This is a great step as it will also prevent you from making any wrong financial decisions. 4. Give each other financial independence. There is no harm in maintaining your own savings. Keep in mind that you and your partner can have personal financial requirements and you should have all the freedom to plan for it. Yes, do discuss it with your partner. Also, you can have a separate account if you are saving for your retirement plan. 5. You two should have an emergency fund. An unexpected expense, some illness, a home repair or even losing your job, there can be an emergency and you will need funds for it. Make sure you take out a big amount from your every month salary for an emergency. Keep this amount safe with you in cash. You don’t want to go in debt and still enjoy your life to the fullest! For the same, you need to have a serious discussion with your partner. Discuss your expenses, savings and then design a budget for the month. Finance is one of the most important determinants, when it comes to buying a house and most of the other considerations revolve around this. As a property purchase is often a once-in-a-lifetime decision, it is essential to evaluate your funds accordingly. To buy a house, one nowadays has to utilise their savings and also opt for a home loan. The process of taking a loan has also become simpler, with a majority of people opting for it. Nevertheless, there are some basic principles that one can follow, to plan your finances for buying a house this year. You can never assess your net worth, if you are debt-laden. Any partial payment towards this debt, will show up poorly in your credit ratings and this may affect the home loan process. Paying off your debts completely, will help you move ahead in the direction of home buying. Besides relieving one’s tension, it can help you to properly allocate money for your basic needs and for your big real estate purchase. One should learn about the different financial instruments available in the market. This can help you to invest your money wisely and use the returns, to fund the purchase of your home. Financial experts always stress on having a mix of different asset classes in one’s portfolio, as this will help you during big-ticket purchases, like property. “Before making the decision to buy a house, one needs to ensure that the current asset allocation is not skewed towards a risky asset class like equities. If that is the case, one needs to shift a chunk of those assets to less risky ones that are also liquid. Mutual funds can be a great avenue for such temporary parking of funds,” says Rakesh Nair, an independent financial advisor. Real estate is an expensive investment. However, with modern buyers being exposed to global standards, they refuse to settle for anything but the best. In such a scenario, every penny counts. Experts suggest that an individual’s monthly budget should be based on the 50/30/20 thumb rule, where one spends 50 per cent on basic necessities, including groceries, utilities, medical expenses, etc., 30 per cent for indulging yourself and your family, while the remaining 20 per cent should be saved. This 20 per cent will help you in your down payment, getting home loans and also in case of any other emergency. “After following the real estate market for the last three months, for buying our own apartment, we found something better than what we were looking for. So, we are trying to channel our funds in this direction. Buying a house requires a huge amount of self-control, to avoid spending money on other temptations and instead, develop a habit of saving money for buying an apartment,” says Vihaan Verma, a house hunter from Delhi, who intends to buy an apartment this year. Initiate standing instructions at your bank, for transferring money from your salary account to your savings account, every month. This will keep you in check and you will only spend what is left after savings. Going forward, when you take a home loan, you can follow the same method, so that monthly EMIs are taken care of, right at the beginning and you avoid getting into any financial mess. “Once you avail of a home loan, the EMI starts immediately. This can become a burden, when you are paying it along with the rent for your current house. You have to maintain a proper balance, between the EMI and the rent, so that once you get the possession of the new house, you can increase the EMI amount and move into your dream home. In 2019, there is hope of a reduction in the Goods and Services Tax (GST) for real estate, as well as further reductions in the repo rate, which will directly reduce the pressure of repayment on buyers. In the meantime, buying a ready-to-move-in property can be a viable option, as this will enable you to avoid the rental outgo and the GST,” advises Harvinder Sikka, MD of the Sikka Group. 1. Plan the monthly budget using the 50/30/20 thumb rule, where you spend 50 per cent on basics, 30 per cent on luxury and the remaining 20 per cent towards savings. 2. Change your asset allocation predominantly from risky assets to liquid assets, so that when you zero-in on a property, you can immediately proceed and not let go of an opportunity because of unavailability of funds. The current financial year is nearing its end and tax payers are busy exploring tax-saving options to reduce their tax outgo. Section 80C is the go-to avenue for availing tax deduction for most tax payers. However, if you have exhausted the Rs 1.5-lakh limit under Section 80(C), here are some tax-saving options you could opt for. Given the increasing healthcare cost, health insurance in the financial portfolio is a must-have. Additionally, it can save you tax under Section 80(D). And not just on premium paid for self, but also for spouse, dependent children and parents. You can claim a maximum deduction of Rs 25,000 on the premium paid for self, dependent children, spouse. You can claim an additional Rs 25,000 for health insurance for dependent parents under the age of 60 years. For senior citizen parents, you can claim a maximum deduction of up to Rs 50,000. However, one thing to be noted here is that the premium needs to be paid in a mode other than cash. Under Section 80 (DD), an individual can claim tax deduction against the expenditure incurred for medical treatment of a dependent person with disability. A fixed deduction of Rs 75,000 is available for this purpose. You can avail deduction to the extent of Rs 1,25,000 for the ones with severe disability (Deductions available are subject to applicable conditions). Interest payment on education loan taken for self, spouse and children is eligible for deduction under Section 80 (E). Deduction for the interest paid needs to be claimed in the relevant financial year. Further, this deduction can be availed for eight years from the time you start repayment. Donations made to certain funds, charitable institutions, etc. or any other government notified funds are eligible for tax deduction under Section 80 (G). However, the amount donated should not exceed 10% of the adjusted gross total income. Also, donations made in cash are eligible for tax benefits, only if they are less than Rs 2000. Usually you can claim deduction for HRA through the HRA form received from the employer. However, if you don’t receive HRA from your employer, you can claim for deduction for the payment you make toward rent under Sec 80 (GG). Declaration needs to be submitted in Form 10BA to avail the deduction. Another condition for claiming deduction is that you, your spouse, minor child or HUF of which you are a member do not own a residential house in the place where the rented accommodation is located. Interest earned on savings account deposit is admissible as a deduction under this Section. Interest received on the savings account should be added under the head ?Income from other sources?, which makes it eligible for deduction under Section 80 (TTA). The ceiling for deduction under this Section is Rs.10,000. Interest received by senior citizens on deposits in bank savings account, post offices, term deposits and recurring account deposits is eligible for deduction under Section 80 (TTB). The maximum limit here is Rs 50,000. With new safety and crash test norms kicking in this year, a lot of cars and SUVs will meet their fate soon. Leading auto manufacturers like Tata Motors, Honda, Mahindra and others will be retiring some of their vehicles this year. Come July 2019 and companies will have to sell four wheelers in India only with mandatory safety features like driver see airbag, ABS, speed alert system, seat belt reminder and rear parking sensors. While some of the four wheelers have been seeing some miserable sales over the last few years, others are not feasible to be updated according to the new norms. Here is the list of 10 cars and SUVs that retire from the Indian market this year. The names include some of the oldest and popular vehicles as well. The sales of the Mahindra NuvoSport have not been satisfactory in India. One of the reasons behind is that the design of the NuvoSport was not really well accepted in the market and hence, it will meet its fate in July 2019. Powering the Mahindra NuvoSport is a 1.5-litre diesel engine that is offered with both manual and automatic transmission options. Mahindra NuvoSport price in India currently starts at Rs 7.77 lakh that reaches up till Rs 10.25 lakh for the top end variant. India’s largest carmaker Maruti Suzuki’s highly popular Omni minivan is also one of the vehicles that will meet its fate in July 2019. First launched in the year 1985, the Maruti Suzuki Omni will not be able to meet the crash test norms that will come into effect starting October 2019. Also, the engine of the Omni won’t be upgraded to the BS-VI emission norms. Powering the Maruti Suzuki Omni is a 796cc petrol engine mated to a manual transmission. The minivan is currently priced in India at a starting price of Rs 2.82 lakh (ex-showroom, Delhi). Tata Nano, the car that acted as the ‘dream come true’ car for many when it comes to owning a car will also be no longer on sale after July 2019. The GenX version of the Tata Nano might be discontinued from India after July 2019. Powering the car is a 624cc, petrol engine that is available in both manual and automatic transmission options. Tata Nano GenX price in India starts at Rs 2.36 lakh (ex-showroom, Delhi) that reaches up till the top of the line Rs 3.34 lakh (ex-showroom, Delhi). Tata Sumo has been on sale in India for over two decades now and was one of the early passenger vehicles by the company. Now, with safety norms getting mandatory and BS-VI coming into effect soon, the company might phase out the Sumo Gold by July 2019. Tata Sumo Gold price in India is currently Rs 7.52 lakh and the top end variant will cost you Rs 8.96 lakh (ex-showroom, Delhi). The production of Honda Brio has already stopped and the company’s most affordable model will retire by July 2019, after which Amaze will become the brand’s most budget offering. The car has not received a significant update since long and add to that the lack of features is why this model will no longer be on sale after a few months. Honda Brio is currently priced in the Indian market between Rs 4.73 lakh and Rs 6.81 lakh (ex-showroom, Delhi). Powering the car is a 1.2-litre petrol engine that is offered with both petrol and diesel gearbox options. Still listed on the company’s official website for India, Maruti Suzuki will pull the plug on Gypsy by July 2019. The SUV will not be updated with new safety features and hence, if you have been planning to buy the Gypsy, this can be the last time to buy one. The Maruti Gypsy is currently available in two variants with prices starting at Rs 6.22 lakh (ex-showroom, Delhi). The vehicle draws power from a 1.3-litre petrol engine mated to a manual transmission. The Fiat Punto has not received a significant update since a long time now and its sales have not been pleasing either. This is the reason why the hatchback will be retired from India this year. Fiat Punto price in India currently starts at Rs 4.82 lakh that reaches up till Rs 7.47 lakh (ex-showroom, Delhi). Just like the Punto, the Fiat Linea will also meet its fate this year. The Linea has also been seeing some miserable sales numbers and hence, updating it with new safety features will not make any sense for the manufacturer. Fiat Linea is priced in India at Rs 7.15 lakh for the base variant while the top end trim will set you back by Rs 9.91 lakh (ex-showroom, Delhi). Mahindra Xylo is another such model that has not received any major update since long. The Xylo will not be able to meet the upcoming crash tests in India. Add to that the low sales of the SUV and hence, the vehicle will not be on sale after July 2019. Mahindra Xylo price in India currently ranges between Rs 9.38 lakh to Rs 12 lakh (ex-showroom, Delhi). The sales of the Mahindra Verito have not been satisfactory for the company now and hence, it would be a no brainer to update the Verito with new safety features. Mahindra Verito price in India starts at Rs 7.48 lakh and the top end trim will set you back by Rs 9.21 lakh (ex-showroom, Delhi). Powering the Mahindra Verito is a 1.5-litre diesel engine mated to a manual gearbox. Nowadays, a lot of white-collar employees wish to avail the work from home option to meet both professional and personal ends. Most of them are pretty satisfied with the work from home option. On the other hand, many professionals have complained that this option is not giving enough time to focus on either personal or professional work. Undisputedly, working from home is the best option only when you have command over yourself and your physical boundaries. The most intimidating thing while working from home is switching between work and personal activities. For this reason, many believe that this option is not allowing them to achieve professional targets. Here are the tips that make you focus on both, personal and professional tasks, while working from home. Most working folks complain that due to the environment they are not happy with this work from home option. Identify a designated work space in your home prior to opting for this option. If you have such a place in your home, you can enjoy the most. You can even create such a place by restricting your family members and others. However, keep this place clean and tidy up before starting your work. Many working folk complain that they are not able to focus on work while working at home because of the distractions. To be honest, this is inevitable. Try to minimise your distractions such as turning on the television, laundry and personal activities. One should also restrict their trips to the kitchen while working from home. As we said above, you need to switch between work and personal activities while working from home. If you have any dependants, there will be a number of complications which are unavoidable. If you want to focus on professional targets, restrict yourself and complete without thinking much about the personal activities. Be it cubicle or home, one has to switch between physical areas for freshness and focus. While working from home, take lunch breaks in a different area, other than your place of work. The switch between the scenery will help you clear your mind. Not all the professional targets depend on you. Team work is required specifically for the targets of a project. While working from home, we know that maintaining effective communication is not possible. Try to get in touch with your team lead and members whenever you face a difficulty. We usually assume that we do need breaks while working from home. Honestly, breaks are required for every individual to focus more. By taking breaks while working from home, you can complete more personal tasks besides relaxing. However, taking too many breaks is also not a good idea. You might be surprised with this point because many people love to work in cubicles in relaxed apparels. However, a professional attire while working from home will make you to focus more and always remind you about the daily targets. As we mentioned above, your communication with the team members or team lead will be very low while working from home. Due to this or other reasons, you might face some difficulty in understanding the targets for a particular day. Hence, we suggest you get clear instructions for your targets or work before you start working. This is required while working from a cubicle also, but there you have an option to constantly communicate and get your doubts clarified. There is no doubt in the fact that getting good marks is important. Your academics are the objective representation of your performance in college. After all, you have invested so many resources to get yourself enrolled in your dream college and if that not to gain knowledge then what is it for. But the ever increasing amount of stress and anxiety that college students face with respect to their academic performance is quite worrying. Almost every student on the college campuses can be seen fretting over their marks at the end of every semester. Students who haven’t been able to maintain or improve their marks often depict increased stress levels and lower self-esteem. Which raises the question, ‘are academic grades the most important thing in a student’s life’? Well, to be truthful, not entirely. Academic grades are important but so are many other things. For a few years down the line, once you are settled in your career, your grades wouldn’t hold much importance. Thus, in this article, we have discussed a few things that are as important as your academics, if not more. ‘Health is Wealth’ this is a very famous proverb and surely you must have heard it somewhere or the other. However, when you consider this saying from the context of a college student you’ll see that it quite aptly fits them. Rushing from one lecture to another during the day, fighting off the sleep at night to finish the assignments before the deadline and then taking care of your other responsibilities, college students are burden with quite a lot. And in their struggle to keep up with all this they often miss out on the one thing that’s most important, that is, their health. Whether it be physical, mental or spiritual your general health matters a lot. Simply put, if you are not well then, you will not be able to perform your daily tasks with the same efficiency as when you are in the best of your health. Pushing yourself to perform better academically is good but one should be mindful of the fact that you are not doing it at the cost of your health. Pay equal attention to your health, for if you are healthy only then will you be able to perform your best and reap the results of your effort. Spending quality time with your loved ones is very important. Studies have often shown that a hug or a lively conversation with a loved one helps a lot in distracting your mind of negative thoughts and also to reduce the stress levels in your mind. So, if you feel that your college is getting in the way of spending some quality time with your friends and family then maybe you need to revise your study schedule or squeeze out some time for your loved ones. From the many things that college teaches you one of them is that relationships matter a lot. Having a support system, people that you can rely upon, people who genuinely care about your well being is essential to lead a happy life. Just think of it, what if you become the richest person in the world but have no one to share that accomplishment with, then would it really bring you any happiness? Certainly not, for success is best enjoyed when you have someone to share it with. So, make sure to take some time out and spend it with your loved ones. Even a small call to your mom asking how she is doing is a great way to stay in touch. When it comes to sending out job applications having a good academic background alone won’t suffice. For employers, today are not just looking for great academics but also for practical skill sets and work experience. Learn some extra skills related to your field. You need not become an expert in them but having a basic working knowledge of things can certainly give you an edge over your fellow applicants. The connections that you develop within the industry of your choice also go a long way to help you kick-start your career. Some of you might have come across a scenario where a student with a good academic background is struggling to find a good internship whereas an average student easily finds one in a good organization. Ever wondered how’s that possible? Well, the simplest of explanations is that the average student had good connections within the industry. This is the reason why being buried in your books alone isn’t going to help you. You need to a little bit social also, for a certain amount of networking is important too. If you are not sure how to network then start small start with your seniors, alumni’s, family friends in the industry of your choice, people that you can easily approach. Networking can be done in classes, workshops, extra-curricular activities, on-campus student clubs, conferences, seminars or even online on platforms like LinkedIn. College life is said to one of the best phases of a student’s life. And that surely doesn’t include one being buried in their textbooks and notes all day long. It has so much more to offer than just academics. College is often said to be the place that is meant to train you for your life ahead. Problems faced in college are just a glimpse of what’s to come once you graduate. If you are able to strike a balance betweeen your academics and your social life as a college students chances are you’ll be able to maintain a better work life balance post college. So, take time out to experience the life outside of your academics be it hanging out with friends, trying out new places in town, learning to play a new instrument, watching movies with friends, traveling etc. Just simply do the things that you enjoy doing. College is meant to be the phase where you form some of the memorable memories of life. Have experiences that you’d be proud of and look back at fondly. Surely, the things that you learn in class would help you a lot when you step into the real world after graduating. But there are other things also such as the practical skills like that of money management, prioritizing of tasks, multi-tasking etc. that would help you a lot in both your personal and professional lives and a lot many of these skills are usually developed in college life. Performing well academically and gaining as much knowledge as you can is essentially your job as a college student and one should strive their best to do it. But that doesn’t mean that you forget all other things in life. You must learn to maintain a balance between your academics and things apart from that such as hanging out with friends. Don’t be ashamed to have fun and take time out for things apart from your academics and surely do not let anyone else convince you otherwise. Studying differs from one person to the next so what works for one may not for another. The ways that you can make the most of your studying time depends on what works best for you. 1. Develop a schedule that will allow you adequate time to study. Having a schedule makes you see that you have certain things to do and will give you an allocated time that you should be focusing only on your studying. 2 To make the most of time when studying, select the times of day your brain is at its peak performance. This can vary from individual to individual. Study when your brain functions best to help maximize its performance and reduce redundancy. 3 Study in a comfortable place where you can concentrate without distraction. Distractions slow down performance because they defocus the mind. 4 Focusing the mind can be difficult especially if you are worrying about something, are tired, and don’t know how to study well. Perhaps one of the greatest skills in studying is being able to do this well as it improves test scores and saves time. 5 Develop a study strategy you know your mind will work well with. Everyone’s brain is wired differently, and we all learn in different ways. Some of us are visual learners others are auditory or kinesthetic learners. Find out what you are and increase the method which you brain learns from best to save more time. For example, if you are an auditory learner listening to lectures on tape and going to class may be more important than reading the text. If one is more visual the textbook and notes become the most important aid in studying. Stay on the look out for new ways to study and create some for yourself. After time studying will become easier and more of a routine than a challenge. 7 Take notes in class on the important things that you are going over so that you have the necessary clues to what you really need to focus on for an exam. Try to study up on the material before class so that you can refresh your memory in case the teacher calls upon you. 8 Studying itself is a fine art, there may be workshops or even courses on how to improve studying techniques and save time. One of the cornerstones of education and life is being able to and knowing how to study. There are many things in life that need studying whether it be a homework problem, a hole in the wall, building a model, putting a puzzle together or solving a relationship obstacle. The better one know how to study the more time one will save and the greater one will achieve when it comes around to testing time.